Other Mag. 7.4 open cluster in Cassiopeia 5 arc min in diameter. 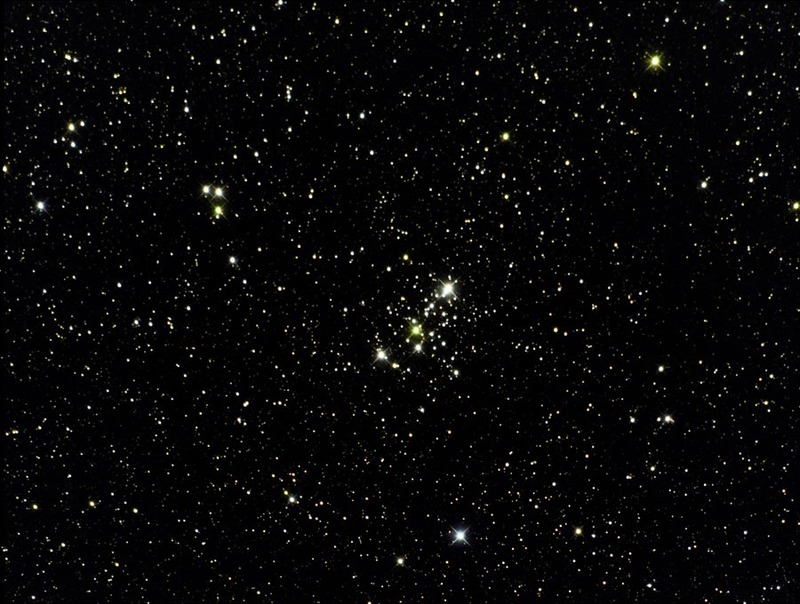 The bright star on the upper right hand side of the cluster is actually a foreground star that is brighter than the combined magnitude of the cluster.